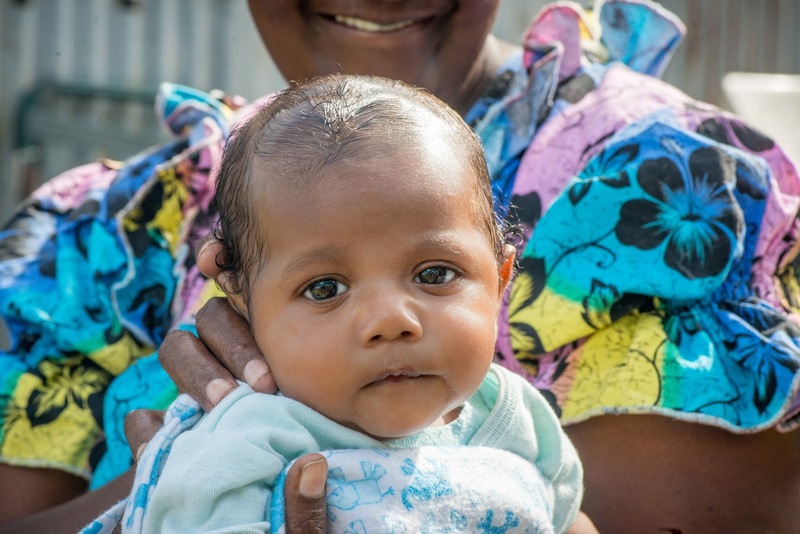 Pacific Island Countries: Eight months pregnant when Cyclone Pam hit, mother to a beautiful baby now. 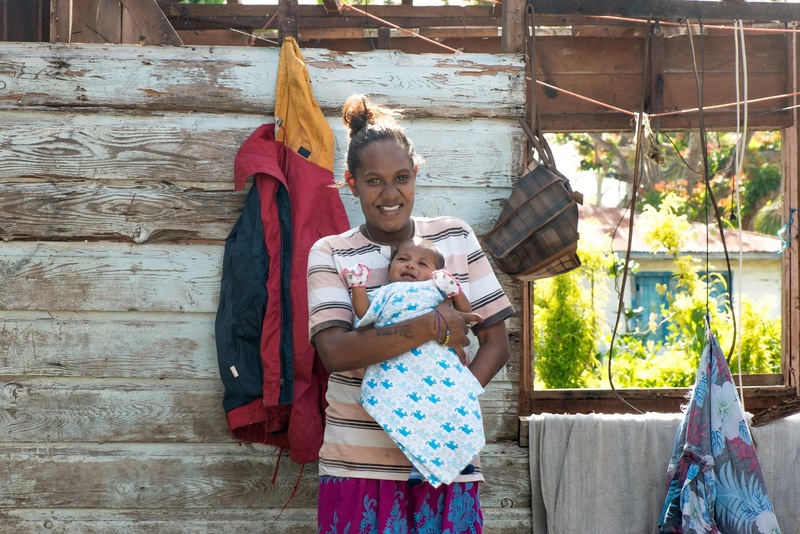 Eight months pregnant when Cyclone Pam hit, mother to a beautiful baby now. 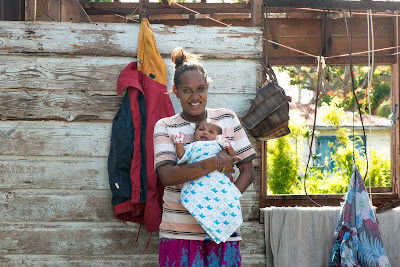 Wilma was eight months pregnant when Cyclone Pam hit Vanuatu. Three months later, she and her new baby face the future together. When Category 5 Tropical Cyclone Pam hit Vanuatu on 13 March 2015, it didn’t spare the island of Ifira, situated only 10 minutes away by boat from the capital Port Vila. Ifira took a direct hit, with the cyclone destroying trees, houses, schools, boats and damaging the sole health centre for the island’s population of around thousand people. A storm of this ferocity is terrifying for anyone to live through, but Wilma, 20, was also eight months pregnant with her first child when the cyclone hit. The 230km/h winds blew away the roof of her house, ruining most furniture and belongings. When we met her less a week after the cyclone had hit, Wilma put on her bravest face for the camera, showing her beautiful smile. When we talked though, her fears were evident. Big challenges lay ahead. Wilma, her mother and grandfather found temporary shelter with their relatives in an adjacent house but they were going to have to rebuild their house, and their life, while also welcoming a new baby. Their garden food crops had been destroyed and they were worried that their limited income wouldn’t stretch to cover expensive imported foods. Today, three months have passed since Cyclone Pam hit, and a lot has changed for Wilma. Francois, now 2 months old, has joined the family. The birth occurred without any complication. He is perfectly healthy with big cheeks and a very cute smile. Wilma takes Francois by boat across the bay to Port Vila Hospital every week for routine check-ups. It is where she learnt how to breastfeed and how to keep Francois healthy despite the challenges she faces. He was also vaccinated against measles; a huge campaign launched by the Government of Vanuatu, with the support of UNICEF, to avoid an outbreak after Cyclone Pam (there had been an outbreak before the cyclone that posed a big risk to families now thrust into closer proximity in shelters). Today, Wilma appears relaxed. She seems to be a natural with Francois, even at her young age. Her natural strength and resilience also shines through, despite everything she and her family have experienced. Wilma is still living with her relatives in a crowded house made of congregated iron sheets. Their own house was so damaged by the cyclone that her family are still working to repair it with limited resources. They have no access to construction materials, which makes the repair very slow; all the work is done voluntarily by members of the extended family. Although uprooted trees and damaged buildings still litter the island, life has somewhat returned to normal on the little island of Ifira, although there is still a lot to do to recover from Cyclone Pam. The two schools are still badly damaged, and the health centre is still in need of supplies. Ifira is still a long way from full recovery but, looking at Wilma as she tends to Francois, it’s clear that the people here are much tougher than any storm, and committed to walking together on the road to recovery.